Antioch, IL - June 18, 2015 - It was "no stirrup" day for the fourth day of the United States Equestrian Team Foundation's George H. Morris "Gladstone Program" at Annali-Brookwood Farm. Morris, along with experts that include the Young Rider Chef d' Equipe DiAnn Langer, veterinarian Dr. Mark Cassells of Homestead Veterinary Clinc, Dr. Marvin Beeman of Littleton Equine Medical Center in Colorado, professional rider and horseperson Jennifer Alfano of Buffalo, NY, and professional and organizer of the training session - Diane Carney, provided valuable information to the riders for the future of their careers. Morris put the riders and horses through their paces. No stirrups exercises included bridging the reins and executing the volte to feel the straightness of the neck of the horse and the outside rein. When the horse resists, the leg needs to close to keep the impulsion. When the horse gives us what we want we release the pressure, which is called reward. Riders worked on transitions within the gates such as lengthening and shortening and moved into lateral exercises of shoulder in and shoulder four. Morris continues to ride horses in each section of his clinics daily, including participating along with the others in the no stirrup exercises to keep fit. Morris continues to work on perfecting his ride, even after 70 years. He rode Caroline McLeese's horse Caprisio and Morgan Dickerson's mount, Undine, who is owned by Liz Atkins. In addition to the sessions with Morris, Alfano has been working with the riders in the barn all week with Dr. Cassells, providing stable management methods and appropriate care techniques. "It's a great program and I thank Diane Carney for organizing it, " said Alfano. "I think all the riders really appreciate what they're learning. Everyone is very capable in the barn already, some of them are professionals, so if I can help them to the next level, that's a plus." "The program highlights excellence," said Dr. Cassells, "whether it's on the ground, in the saddle or general horse care. Diane (Carney) has arranged a fantastic group of riders, helpers and presenters to help riders get to a higher level. The riders are like sponges, they soak up everything they can get." The afternoon session featured Dr. Marvin Beeman, who was the vet for Calypso and Melanie Smith during the 1984 Olympics. 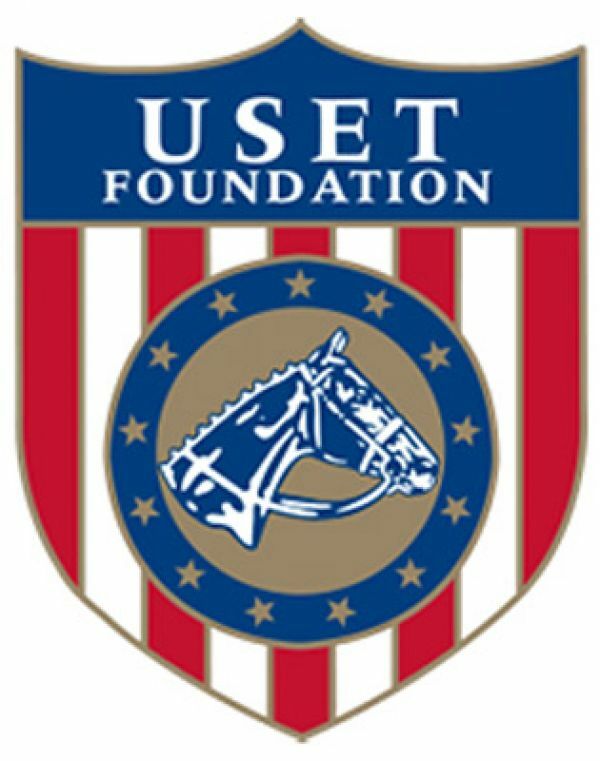 He has greatly contributed to the education of equestrians across the United States and internationally. An innovator in the equestrian world, Dr. Beeman has been presented with many awards. He has been an equine practitioner since 1957, and his specialties include a variety of lameness and musculoskeletal issues. When not caring for horses, you can find Dr. Beeman in the hunt field for the Arapahoe Hunt Club, (mounted fox hunting-whipper since 1972, huntsmen since 1986), playing polo (was rated at 3 goals) and trail riding (has been part of Round Up Riders of the Rockies since 1965 and is a current member of their Board of Directors). Dr. Beeman discussed conformation: form and function. He used a picture of Secretariat as an example of the best conformation, even after all these years. He continued to show examples of horses throughout our history and the conformation that made them exceptional. He also discussed the best conformation for various disciplines as well as how conformation defects affect soundness. Dr. Beeman provided a checklist for reviewing conformation and soundness. While riders went back to the barn to feed and finish up with their horses, Carney and Morris talked about their next project of commentating for the ASPCA Maclay Finals during the 2015 National Horse Show. "I'm flattered to be included and look forward to being part of the discussion with George and Tori (Colvin)," said Carney. "I'm sure we'll get a chance to cover a lot of different topics throughout the class and we'll try to answer our viewers' questions as well." "I know Tori Colvin will carry the ball since she knows the topic best off of last year's win," said Morris. The training session continues tomorrow with a review from Morris and the conclusion of Dr. Beeman's presentation. Bill Liggett, farrier, will also give a presentation.